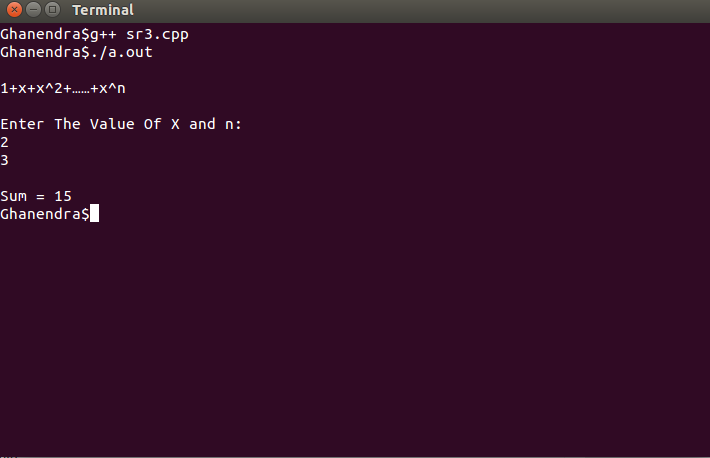 Problem :- Write A C++ Program To Find Sum Of The Given Series 1+x^1+x^2+x^3+ . . . . x^n . Logic :- We can clearly seen that series x^0+x^1+x^2+x^3 and so on so first we enter value of 'X' then number of terms after that we calculate sum of series upto n'th terms.In the last print the sum of series .